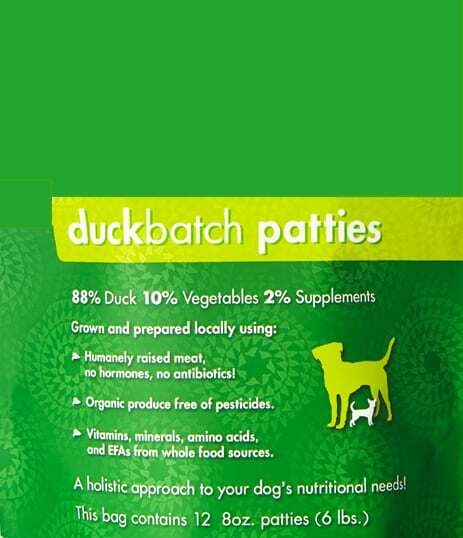 Smallbatch Pets, Inc. has initiated a recall of its Frozen Dog Duckbatch Sliders after FDA testing revealed some packages are contaminated with listeria and salmonella. Smallbatch Pets, Inc. announced a voluntary recall of its frozen dog duckbatch sliders this morning due to potential Salmonella and Listeria contamination. The sliders pose a risk to humans from handling contaminated products. In addition, infected pets may be carriers of the bacteria – meaning the animal us infected with the bacteria but not showing any symptoms – and infect other animals and humans. Finally, the bacteria may be transmitted to humans via cross-contamination, or the transfer of harmful bacteria from other foods, cutting boards, utensils, etc., if they are not handled properly. Pet owners may place contaminated product on a counter or cooking surface and not adequately clean the surface after the product is removed. Subsequent activities may cause bacterial infection; for example, consuming food that has been placed on the contaminated cooking surface. Routine testing by the U.S. Food and Drug Administration (FDA) revealed the contamination. The agency collected a 3 lb. bag of the dog duckbatch sliders for testing. Analysis of the test results revealed that the product was positive for Listeria and Salmonella bacteria, prompting the manufacturer to initiate the recall. Consumers may find the “Best By” date located on the back of the package below the seal. All consumers should check the manufacturer codes on any of the product they may have to ensure that it is not part of the recall. As of this time, no illnesses from the product have been reported in humans or animals.